We DO NOT accept "Vintage" items, Wedding Gowns, Bridesmaids Dresses, Menswear or Children's Clothing. What is your consignment policy? Click here to get the details on our consignment policy. What items do you buy outright? We buy classic style handbags and accessories from Chanel and Hermes. What items do you take on consignment? We look for woman's luxury designer items in pristine condition and we consign items seasonally (For seasons breakdown click here). We sell designer handbags, clothing, shoes, jewelry (fine & costume) and fashion accessories. We are selective in the luxury goods we purchase and generally sell only new, like new or gently used items. Gently used items have minimal signs of soiling, abrasions, stains, scratches or tears. Leather is supple and devoid of creasing. Natural tan leather has darkened due to contact with air and human skin although there are no signs of staining. Every item includes a detailed description of its condition and images of any slight flaws or signs of wear. We do not sell items that are damaged beyond regular wear and tear. This includes items with broken hardware, zippers, significant tears or stains. What are US shoe measeurement for EU sizes? Most of the designer shoes listed for sale on our website use European (Italian) sizing, but generally run 1/2 size small. To use the following chart, take your heel-to-toe length and convert your inches measurement to your U.S. or Euro size. What are the US and International clothing sizes? 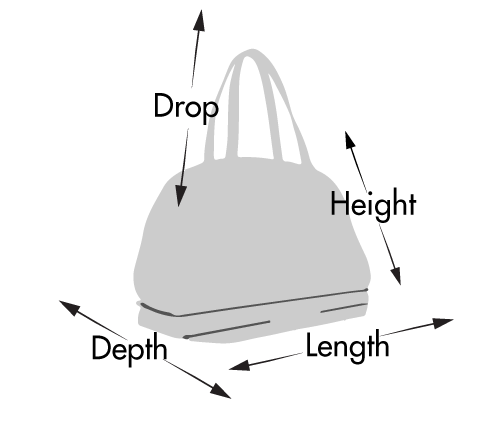 How do you measure bags? How do I know I’m buying an authentic item? Items shipped within NY are subject to sales tax. Items shipped out of state are tax exempt. Yes, we do not keep any card information on file and all orders are processed through secure SSL servers. You can track your order once it is shipped. Upon charging your credit card, you will receive a confirmation email with tracking information. The shopping bag is where you keep your selected items until you are ready to check out and make a purchase. Not only will it keep items while during your shopping session, it will remember what you placed into your shopping bag for up to 1 day. Keep in mind that items listed on Penny Pincher Boutique are extremely limited in supply so don't be surprised if the item you had saved in your shopping bag is sold the next time you visit the site. If you prefer to keep things simple and not create an account, you'll be offered that option at checkout. However, creating an account will make the checkout process quicker on future orders since your billing and shipping info will be saved in our secure system. At checkout, you'll have several option for paying. We accept VISA, MasterCard, American Express, Discover cards processed via PayPal. Please note for PayPal orders, we can only ship to the address associated with the account. Please note that the convenience of shopping our products on-line comes at a slightly higher cost to you. We incur fees for our on-line sales, for web maintenance and upkeep resulting in price differences between our online items and our in store items. Returns are not accepted from our website or eBay page. If you have any questions or concerns about a specific item before purchasing please, contact us and we will be of immediate assistance. Shipping service used is USPS Priority Mail; this service delivery is 1-3 days. NO FREE SHIPPING for International Orders - Shipping will be calculated.